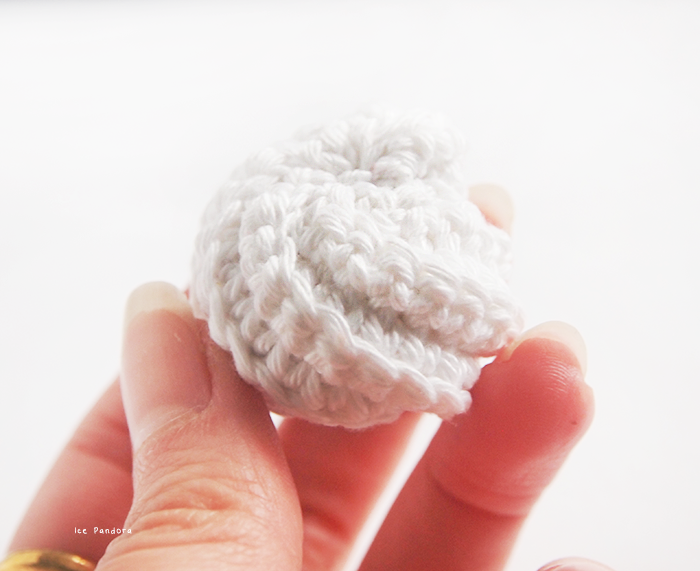 Or you can call them ‘scrubbies’ but I use them to create whip cream for my crochet cakes and cupcakes! 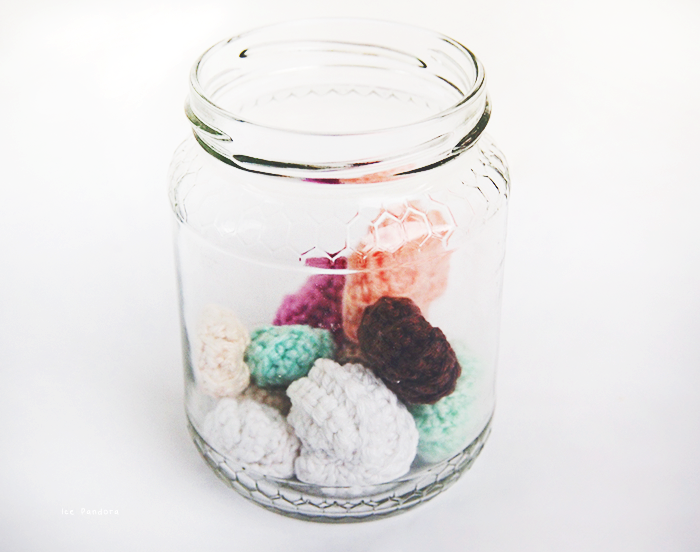 They also make great home decorations by putting them into a maison jar! 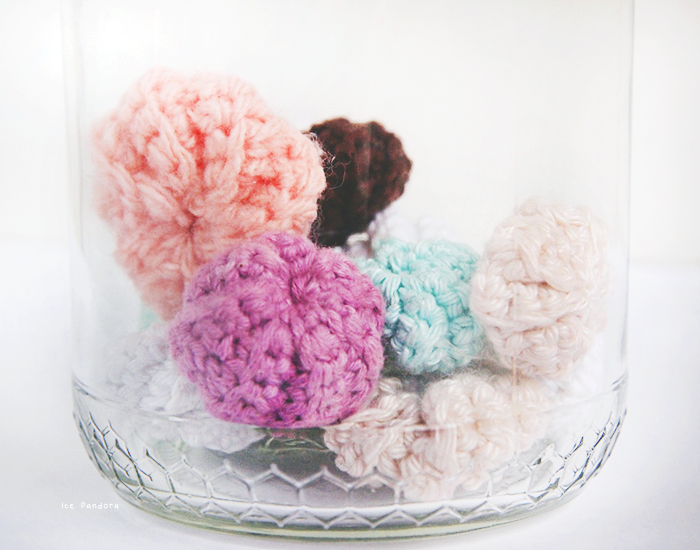 Did I just inspire you to make them as a gift for your friend, mum, girlfriend..? I’ll say: go for it! I've actually stuffed a bit of stuffing in it. 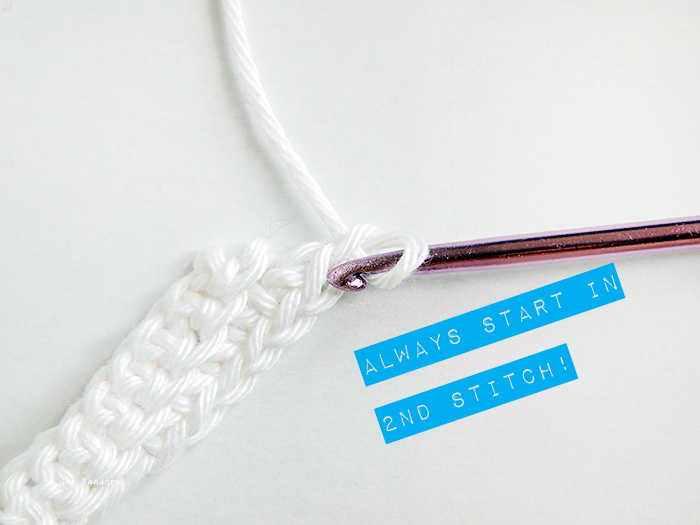 Row 2: skip first stitch and start with the 2nd stitch (see picture) and single crochet. Last 2 stitches will be single crochet decrease. 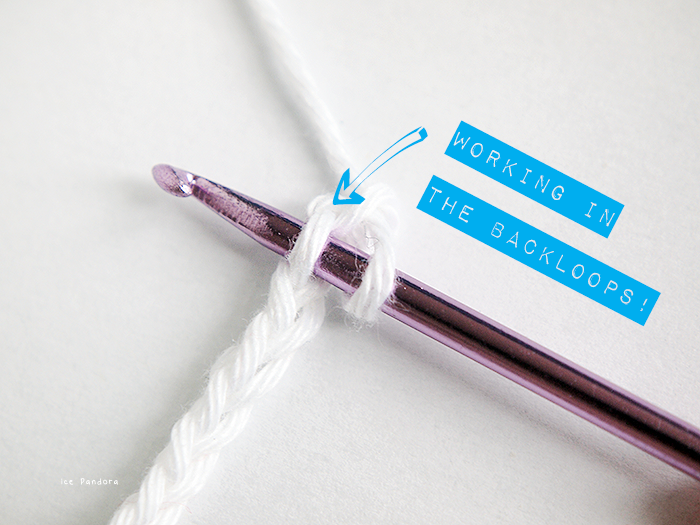 You'll be using backloops from now on! 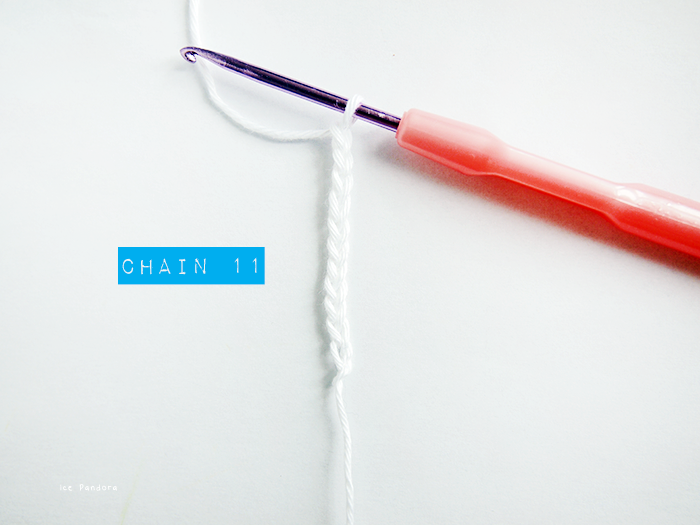 Row 4: chain 1 (always chain 1 as it will avoid shrinking). 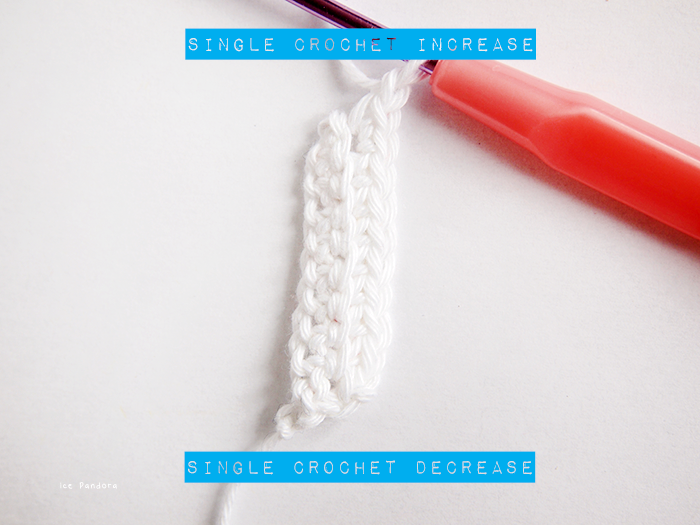 Single crochet increase in the 2nd stitch. Then single crochet all the way. 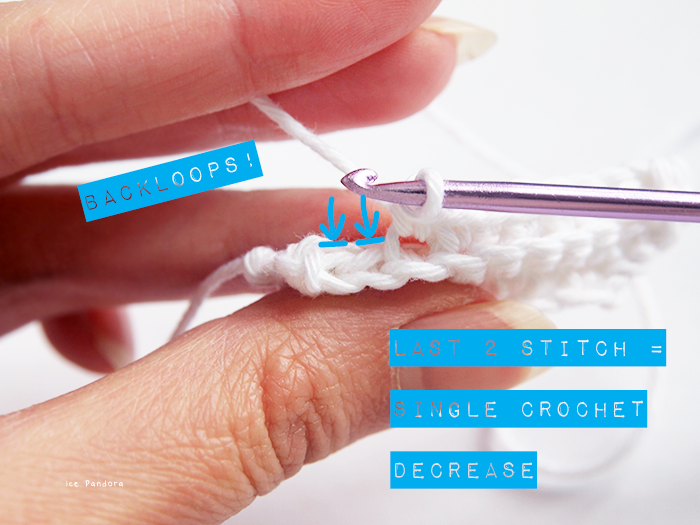 Last 2 stitches will be single crochet decrease. 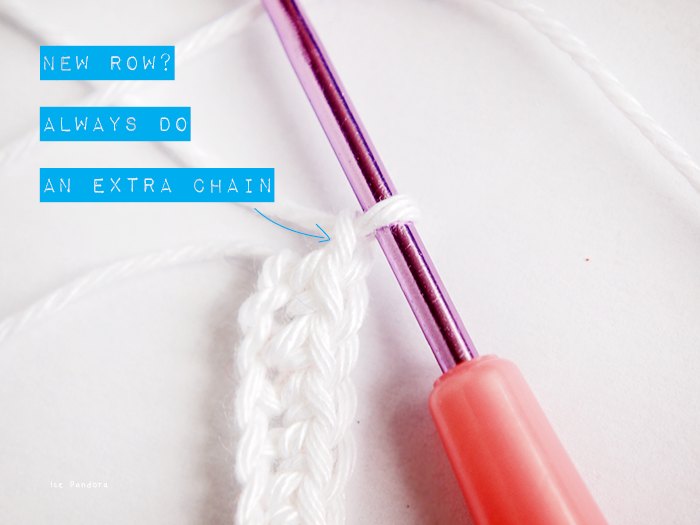 REPEAT ROW 3 + 4 until you've made like 8-10 rows. 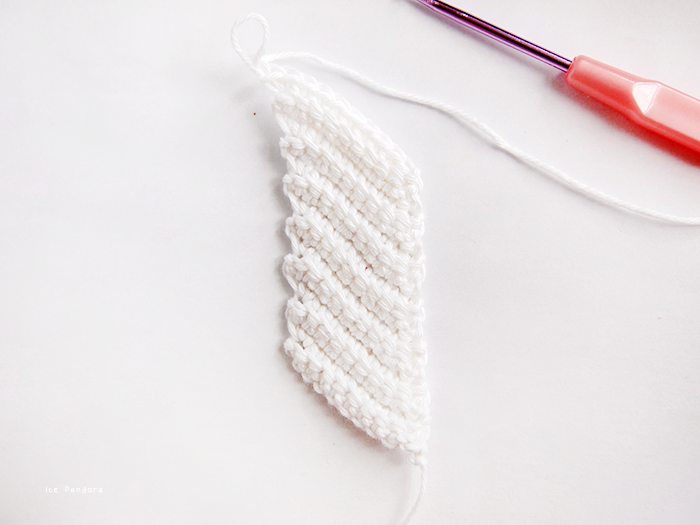 You should see a leaning yet an even pattern in your crochet piece. Fold they way I did in the gif. image and seam it together. Leave a long tail and cut it with a scissor. 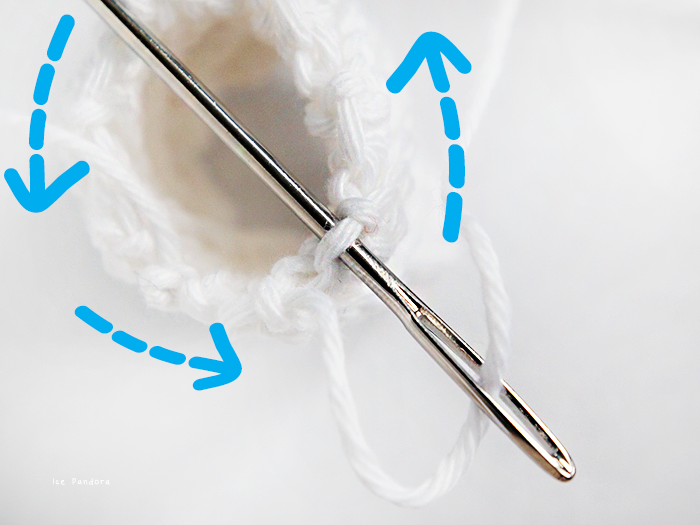 Use a needle and yarn through the edge (see picture), pull and it will close the gap. Do it the same thing on the other side. If you want a puffy cream, you can add a little bit of filling. Omg...that's just sooo adorable! I just watching all your diy knits! 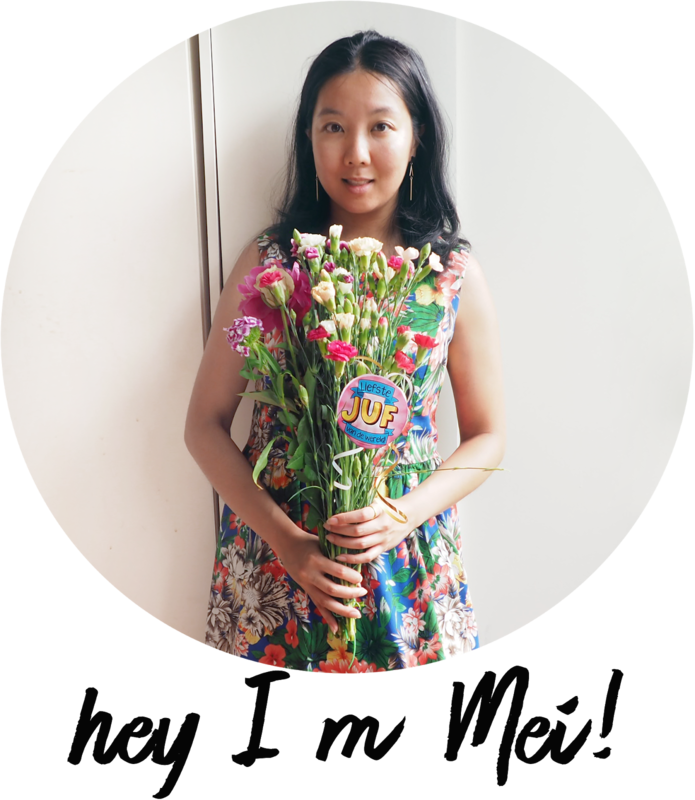 So lovely and fun! Those are so cute, and I love the scheme you got going on. 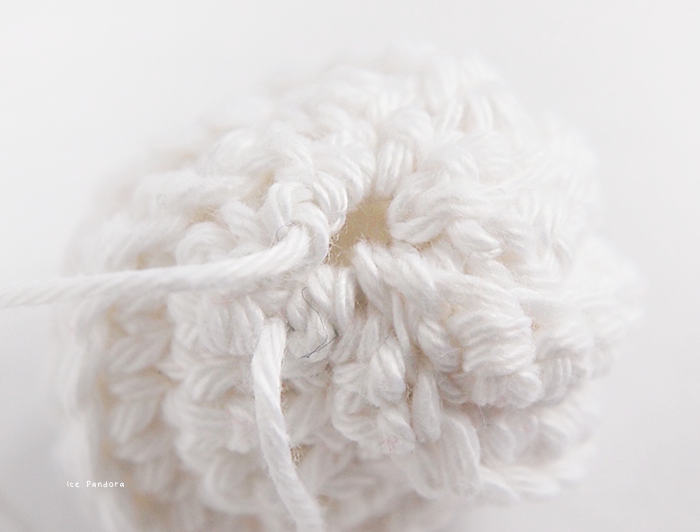 I have my knitting needle and crochet needles packed up during summer. 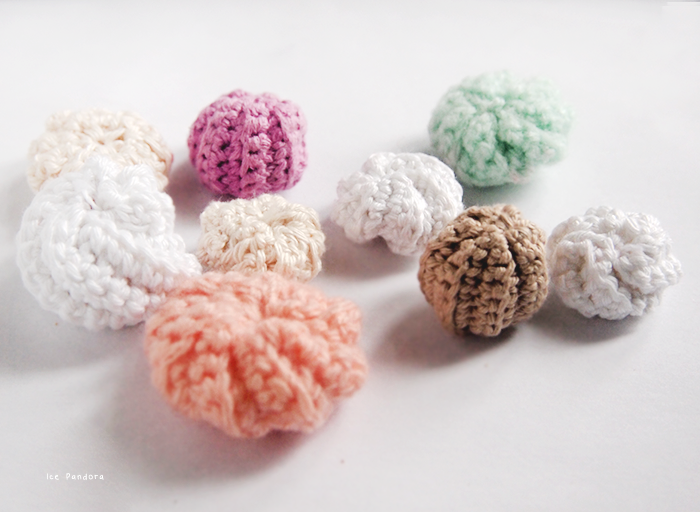 They look so cute and could be a great replacement for pom poms at the end of my scarves. omg your so talented! great job!! 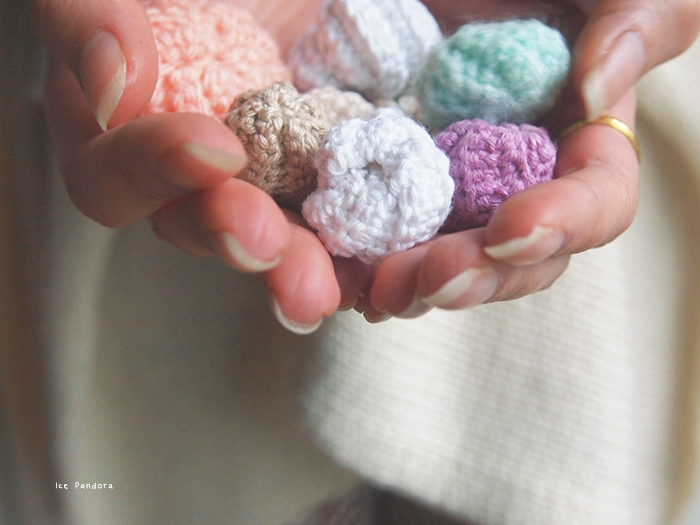 Oh man, I wish I was as good at crocheting as you are! This is so cute ! Love the gifs as well ! This are so incredibly cute! I can imagine them filling a whole glass jar like the one you have. so adorable. and i love your step-by-step!